This simple mod will help you to get rid from obsessive sound timing before the battle in the World of Tanks 0.9.17.0.1. I think a lot of players notice that they begin to enrage monotonous ticking, which is heard from the speakers before each battle. The first time you do not pay attention, but with an increase in the number of fights countdown begins to strain a bit. 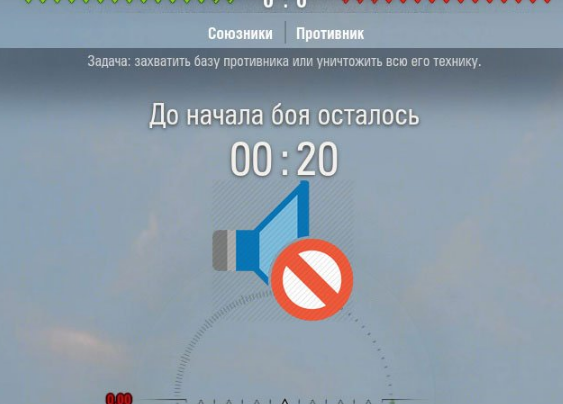 By installing the modification, you will be able to spend 30 seconds before the start of the fight in silence and quietly analyze possible scenarios on the field of battle tank. Instructions for installing the mod you will find in the archive.